Straightforward, high-performing and affordable: E8 brings together all Euronda’s top technology to strike a perfect balance between innovation & ergonomics, power & consumption and customisation & usability. The soft-touch colour display is protected by a polycarbonate screen and enhanced with a distinctive front panel in muted grey. It is possible to select 5 different B cycles and many other custom cycles (N and S type). The innovative E-Timer lets you set tests and cycles to start at whatever time you like. 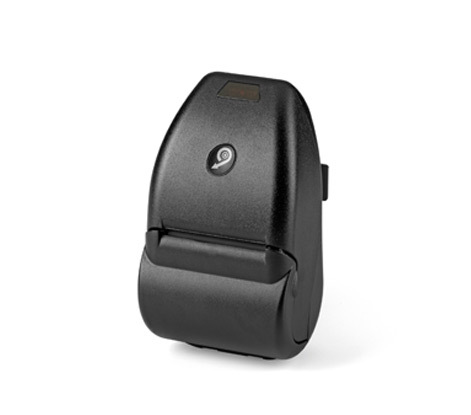 The SD card and optional E-WiFi kit provide connectivity and ensure that the sterilization data are always available on the printers and on computers, smartphones and tablets. In addition, E8 has 2 different types of printers available. 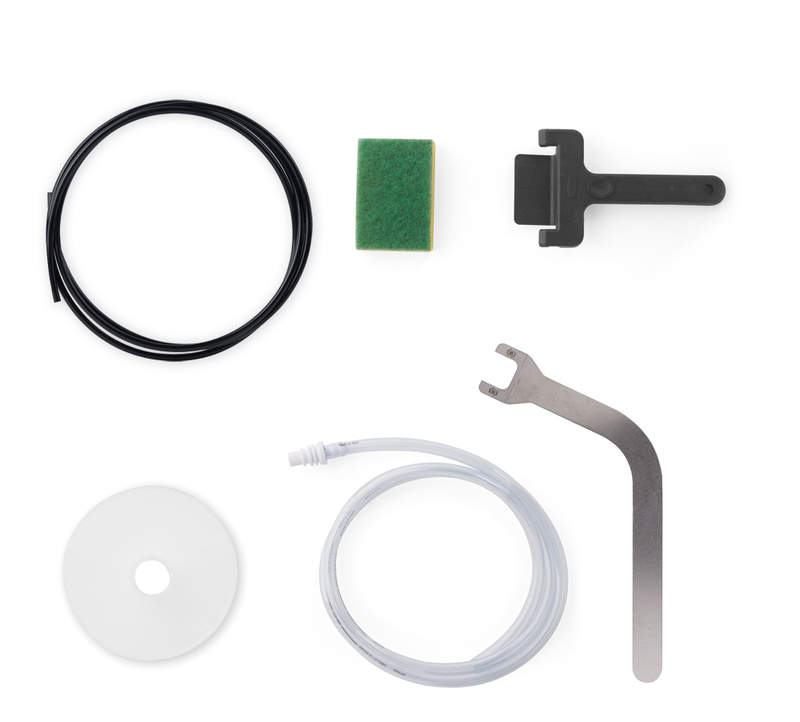 Meanwhile, the Inspection® System helps to make the cleaning process quick and simple. The conductivity meter monitors the water quality and the Dirt Control System directs dirt out of the water system, thus ensuring that E8 is always safe. 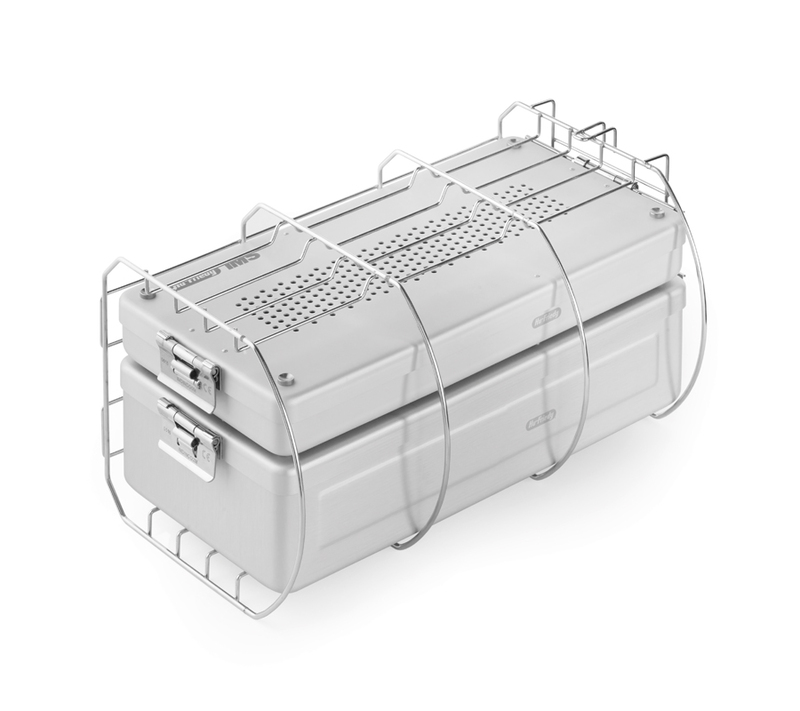 Class B Autoclave fully conforms to EN13060 standard requirements. Control systems (water quality sensor) and cutting-edge components (air-water separator) guarantee safe processes and results over time, thanks to the experience of Euronda Pro System. 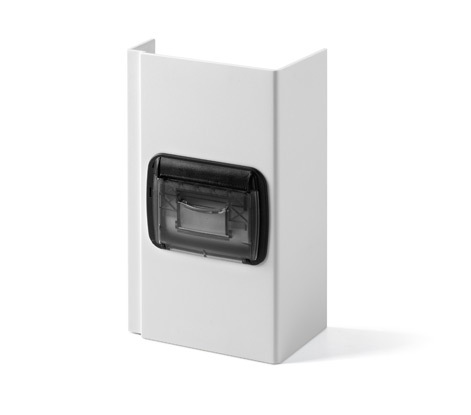 Easy to install and even easier to use. 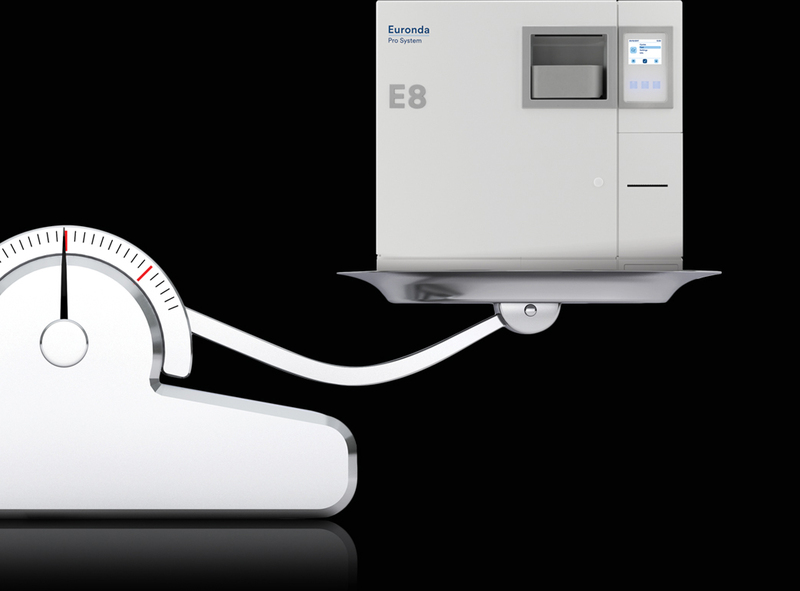 E8 has been designed to save space and make healthcare professionals’ lives simpler. 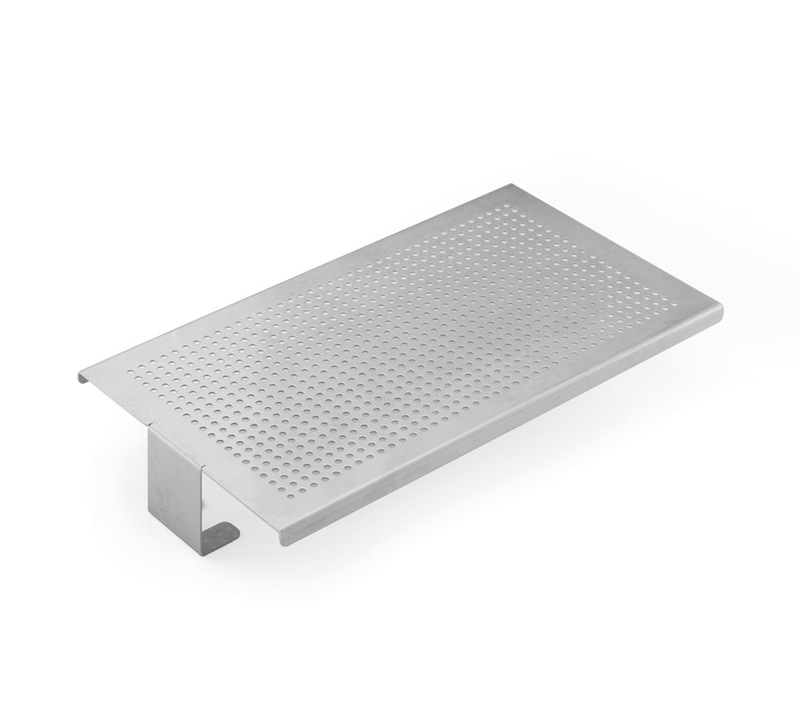 With the standard-supplied integrated SD card, the data of the sterilisation cycles is always available. Possibility of integrating Wi-Fi SD cards or two different types of printers, as required. Powerful, fast and smart. Thanks to the instant steam generator, it limits consumption and the cycle duration depending on the load. 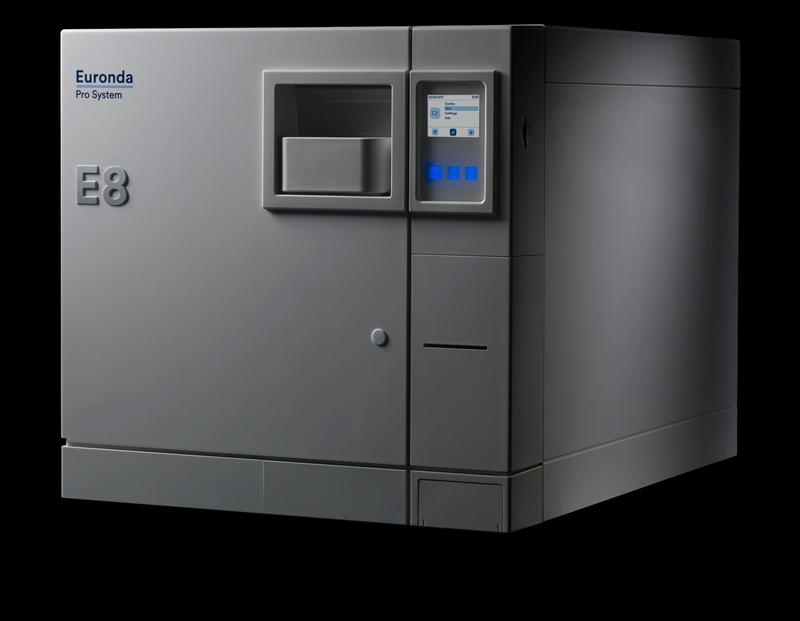 All the know-how of Euronda Pro System packed into an autoclave suited to any clinic. Sober, compact and modern: E8 is an ideal blend of visual appeal and functionality. 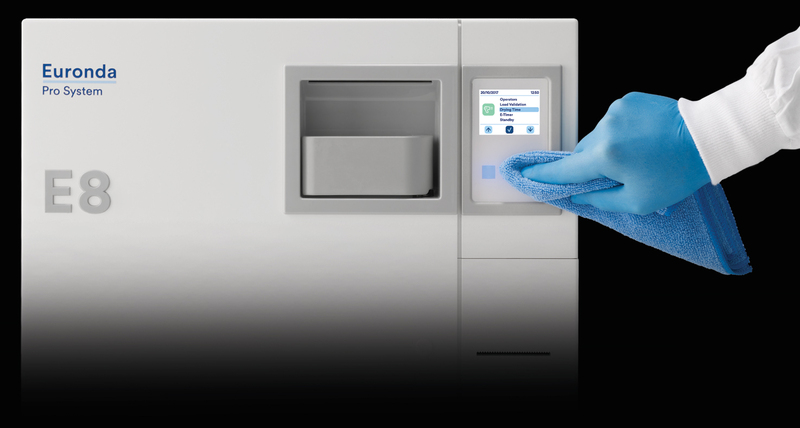 Smart sterilisation is a question of balance. Straightforward, high-performing and affordable: E8 brings together all Euronda’s top technology to strike a perfect balance between innovation & ergonomics, power & consumption and customisation & usability. The end result is a state-of-the-art autoclave which perfectly meets the requirements of all practices. E8 boosts efficiency and makes your job easier, whilst delivering total reliability and longevity. E8 is the most affordable way to reap the advantages of all the Pro-system sterilisation solutions. The instant steam generator and enhanced drying cycle ensure a rapid and superlative sterilisation process which keeps down water (300 ml of water per cycle) and energy (power usage of 2300 W at 10 A) consumption by adapting to the load. The ideal balance between power and consumption. 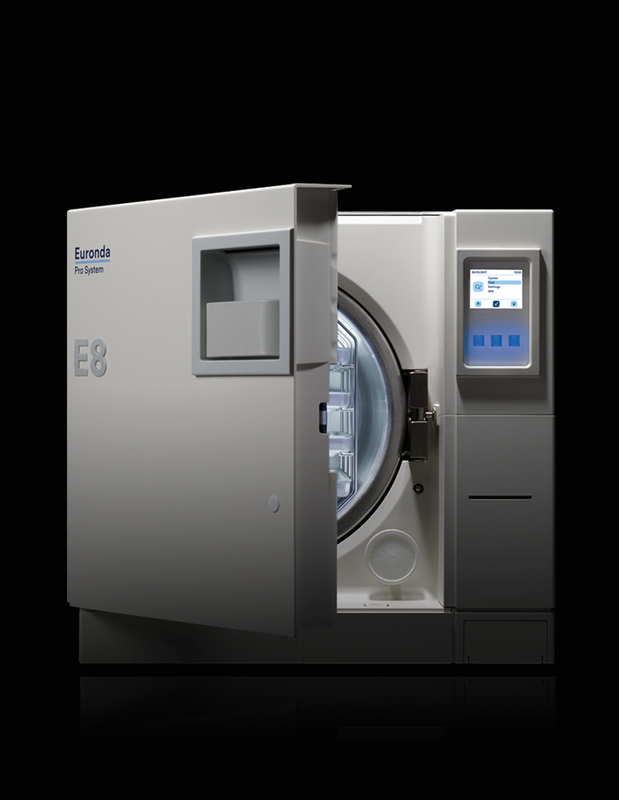 With its elegant contemporary look, E8 underpins and reinforces the new style launched by Euronda autoclaves. The soft-touch colour display is protected by a polycarbonate screen and enhanced with a distinctive front panel in light grey. E8 encapsulates the best of Euronda’s Pro System cutting-edge technology and brings it within everyone’s reach. 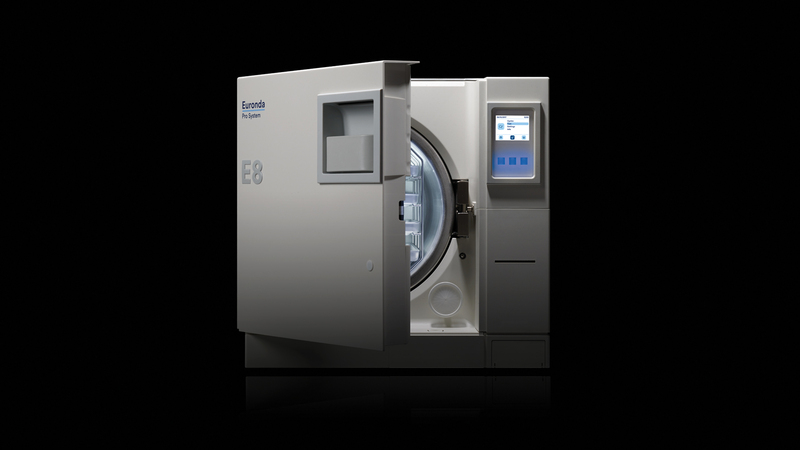 Programming and customisation functions, an extremely user-friendly interface and incredibly innovative systems to keep the autoclave’s performance standards consistent over time are all technological features which in E8 are synonymous with simplicity. 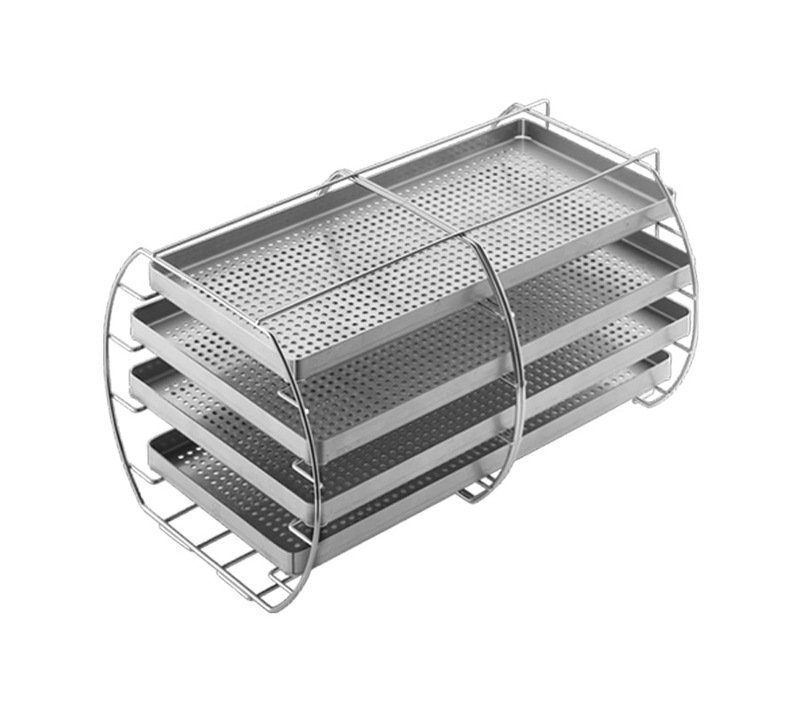 Square profile steel tray holder with a capacity of 5 standard aluminium trays. 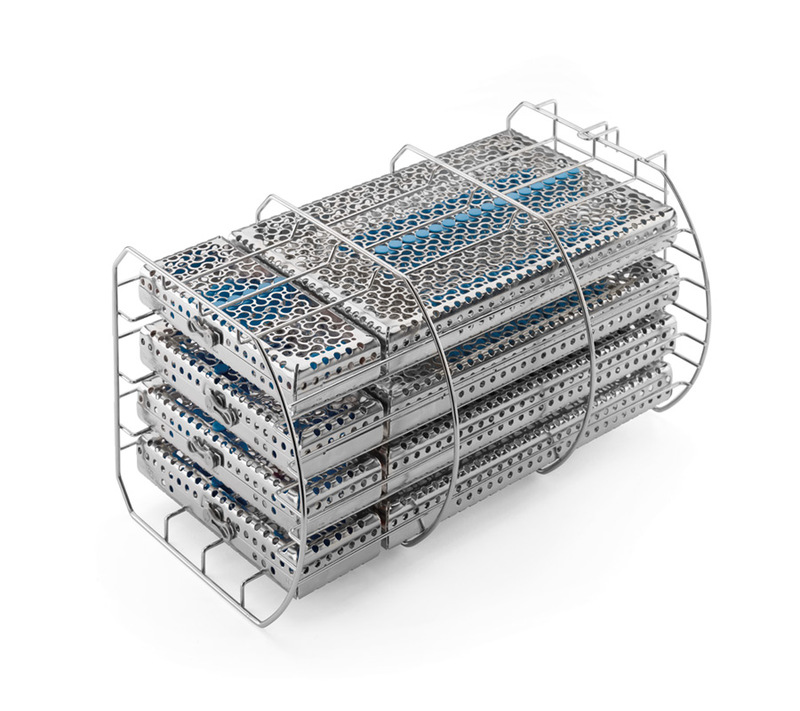 If rotated by 90°, it can hold 3 sterilization cassettes. 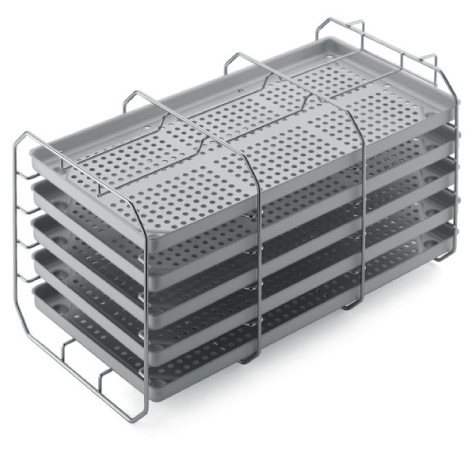 5 trays included. Want more about Euronda E8?